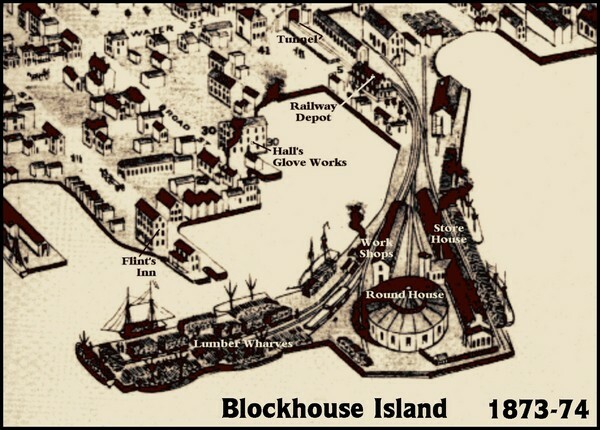 Bird’s Eye view map of Brockville created by artist Herman Brosius and the lithographers employed by the Charles Shober & Co of Chicago. Colorized illustration from "Thousand Islands" viewbook. Trail map from Dry Hill Ski Area.